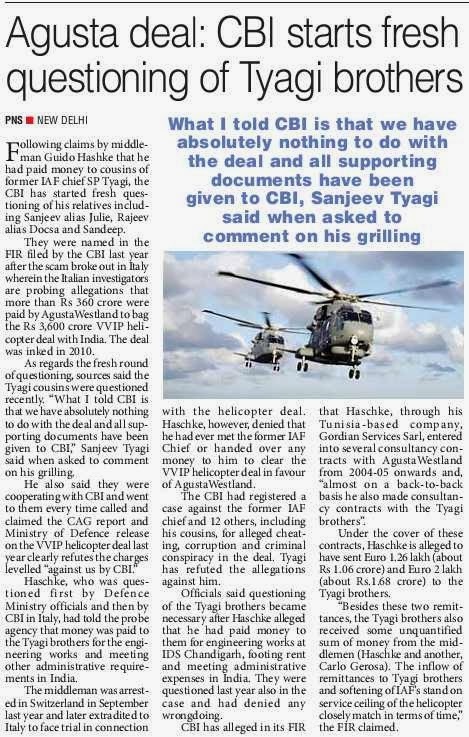 The CBI has started fresh questioning of the cousins of former IAF Chief SP Tyagi in the Rs 3,600-crore AgustaWestland VVIP helicopter deal in light of claims by alleged middleman Guido Haschke that he had paid money to them. Sources said that the agency has recently questioned Sanjeev, alias Julie, Rajeev, alias Docsa, and Sandeep in connection with the claims made by Haschke. “What I told the CBI is that we have absolutely nothing to do with the deal and all supporting documents have been given to the CBI,” Sanjeev Tyagi told PTI when asked to comment on his examination. “We are cooperating with the CBI and went to them every time we were called,” he said. “The CAG report and the Ministry of Defence release on the VVIP helicopter deal last year clearly refutes the charges levelled against us by CBI,” he added. Sources said that Haschke, who was questioned first by Defence Ministry officials and then by the CBI, had told the probe agency that money was paid to the Tyagi brothers for the engineering works and meeting other administrative requirements in India. A case was registered by the CBI against former IAF Chief Tyagi and 12 others, including his cousins, for alleged cheating, corruption and criminal conspiracy in the Rs 3,600 crore VVIP helicopter deal in which Rs 360 crore is alleged to have been paid as kickbacks. The questioning of the Tyagi brothers became necessary after Haschke alleged that he had paid money to them for engineering works at the IDS Chandigarh, footing rent and meeting administrative expenses in India. They were questioned last year in the case and had denied any wrongdoing. The CBI has alleged in its FIR that Haschke, through his Tunisia-based company, Gordian Services Sarl, entered into several consultancy contracts with AgustaWestland from 2004-05 onwards and, “almost on a back-to-back basis he also made consultancy contracts with Tyagi brothers”. The Army is modifying its BMP-2 infantry combat vehicles to enhance their amphibious capability, especially for sea-borne assault operations. The Corps of Electronics and Mechanical Engineers (EME) along with the private industry has undertaken the project, which will involve retrofitting hydrojets on either side of the combat vehicles for propulsion in water. These jets would increase their power and speed, overcoming the limitation of using the BMP’s tracks for propulsion. The BMP is a fully amphibious combat vehicle and uses its tracks to “swim” while negotiating water obstacles like rivers. The hydrojets will increase its amphibious speed from 7 kph to 12 kph in seas. According to Army officers, enhanced speed and power have impact during operations in the seas where tides and high water levels have to be taken into account. Higher speeds and power would give commander greater options while planning operations. The Army has several versions of the BMP that equip the Mechanised Infantry Regiment and the Brigade of Guards. Some specialised versions are also in service with the armoured corps and the engineers. Though of Russian origin, they are manufactured in India by the ordnance factories. There are over 1,500 BMPs in service with the Army. 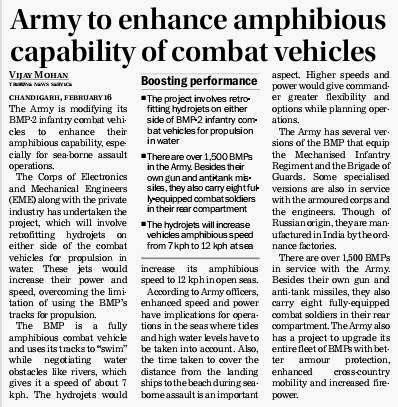 The Army also has a project to upgrade its entire fleet of BMPs with better armour protection, enhanced mobility and increased firepower. In the fast depleting ranks of home-grown militants in J&K, Mohammad Shafi Sheikh of Sopore today became one more number in the ‘kill figure.’ But Sheikh’s addition to the 21,000-plus dead (according to the Home Ministry’s estimate since militancy began in the 1990s) came with grimness of a lost count of the state’s youth: he was one of the oldest, deadliest and committed men of a lost cause. 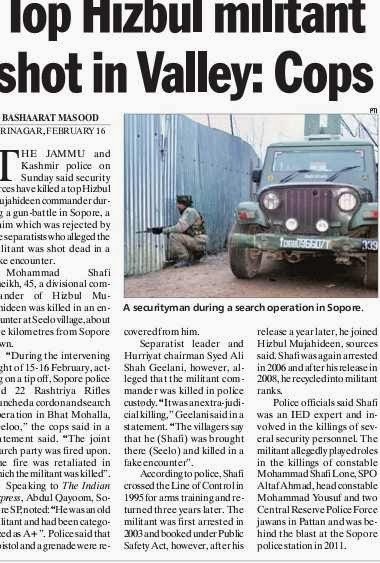 Categorized as an ‘A plus’ commander of the Hizb-ul-Mujahideen in police records, Sheikh was today killed when he tried to escape a security cordon in Seelu village of Sopore – around 10km from Zaloora village where he belonged, police sources said. 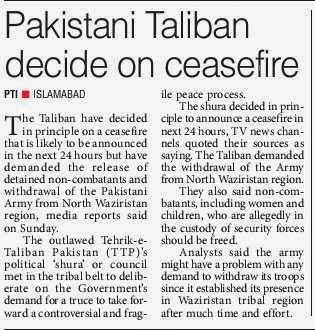 The official described the operation as a “big setback” to the militant outfit. “He was in a house and tried to escape through an orchard. In the exchange of fire, he was killed,” said a police officer. Security forces describe Sheikh, aged around 45-50 years, as an expert bomb maker and a chief motivator for new entrants. He was HM’s divisional commander for north Kashmir, who operated under aliases Shafi Peer and Rashid. A pistol, several rounds of ammunition and a grenade were recovered from him. Sheikh was a first year college student when he joined the militant ranks in 1995, his elder brother Bashir Ahmad told The Tribune. He was arrested twice in 2003 and 2006, sources said. Each time after his release, Sheikh rejoined the militants and continued to carry out attacks against security forces. A senior police officer said Sheikh had joined militancy in the early 1990s and had crossed the Line of Control in 1995 where he spent three years in HM camps handling the outfit’s communication setup before returning in 1998. The militant was involved in several shootings that killed at least five police and paramilitary personnel. One of his most audacious attacks was the 2011 Sopore police station IED blast in which a constable was killed. An audit report has expressed concern that army vehicles older than a year seem to be consuming 1.5 litres of fuel per kilometre. “If these low KPL (km per litre) limits are accepted as normal then the operational status of majority of Army vehicles could be a matter of serious concern,” a report by the Controller General of Defence Accounts (CGDA) said. This and other examples of pilferage, wastage and inefficiencies were pointed out by the 111-page report prepared by and submitted to the defence ministry in August 2010. The report is gathering dust now in the ministry of defence (MoD) HQ. 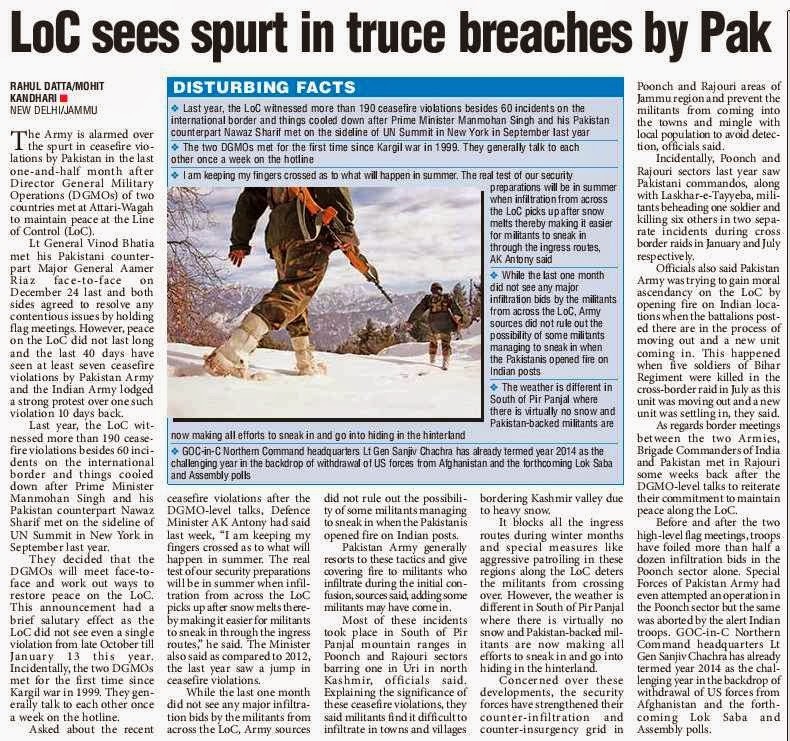 Repeated queries by HT to the defence ministry failed to evoke any response. Making a case for the worldwide practice of establishing direct linkages between fuel users in the army and the state-owned oil companies such as IOC, HPCL and BPCL, and doing away with military depot-based inventory systems of the British era, the report called for a “gradual withering away of ASC (Army Service Corps) depots acting as avoidable intermediaries as at present”. The present practice in the army is not to directly dispense fuel into vehicle tanks but to supply fuel to user units through barrels and jerrycans, creating risks of diversion and misappropriation. 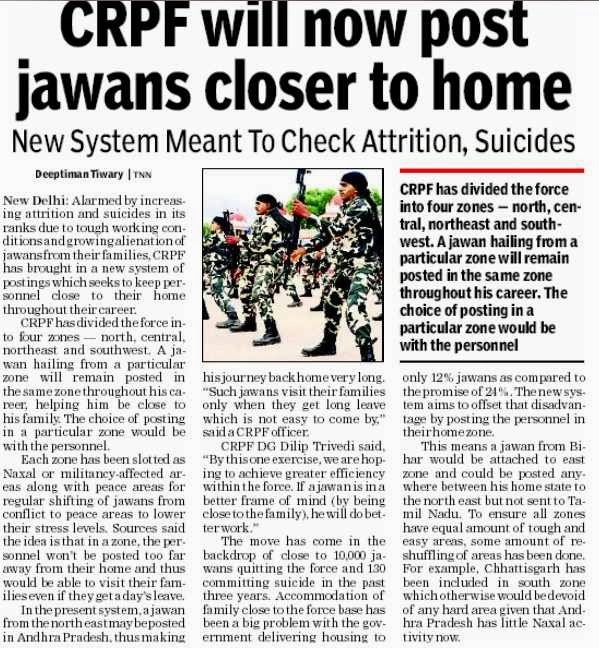 A key recommendation of the internal report is setting up an exclusive transportation command subsuming all the logistical agencies, which “would enable the Army to save an amount of more than Rs. 3,000 crore on an annual and recurring basis”. In a first, the Indian Army has deployed a special team of officers to keep tabs on China’s growing capabilities, dig into the heart of its strategic mindset and predict its impact on national security. These officers, assigned to “China cells” scattered across the northern, central and eastern sectors where the two countries have long-simmering border disputes, have been given the sole mandate to track every Chinese move and file reports on a daily basis, a top officer told HT. The teams are monitoring not only China’s military capabilities but also critical areas such as its international relations strategies, soft power efforts and economic reforms, said a source. The army looks at the move- a brainchild of army chief General Bikram Singh – as a way of understanding China better, amid global concerns about its strategic intent. The cell set up at the Kolkata-based Eastern Command is staffed by six officers, including a brigadier (China) who heads it. The squads at the Udhampur-based Northern Command and the Lucknow-based Central Command consist of three officers each and are headed by colonels. In recent months, China has grown increasingly aggressive along the line of actual control (LAC). This has happened in spite of the two countries signing a new border pact, with a series of incursions straining bilateral ties. China’s aggressive foreign policy has triggered disquiet globally, at a time when the US is focusing on the Asia-Pacific region, seen as a counter to China. There have been growing concerns about China bullying countries with whom it has territorial disputes in the South China Sea, parts of which are claimed by Vietnam, the Philippines, Malaysia, Brunei and Taiwan. China also set off alarm bells last year by unilaterally declaring control of the airspace above large parts of the East China Sea, where it is locked in a territorial dispute with Japan. Defence Minister A K Antony appears to be backing the army which is unwilling to review the clean chit it has given to five of its personnel in the alleged fake encounter in Pathribal, a decision that has generated outrage in Jammu and Kashmir. The army recently announced that it was closing the case relating to the encounter in which five civilians were killed 14 years ago in Pathribal in South Kashmir. CBI had filed a charge sheet against four army officers, including a Brigadier, and a subedar. Chief Minister Omar Abdullah, state's political parties and general public reacted sharply to the army's decision and pressed for a reconsideration. Omar took up the matter with Prime Minister Manmohan Singh during his recent visit to Jammu. The Prime Minister is believed to have told Antony to take a fresh look but he is said to be against that. Repeated e-mails and phone calls to the Defence Ministry for a reaction, brought forth no response. Army headquarters, however, said, "We have given our report to the Chief Judicial Magistrate and now its upto them to take whatever action they think is appropriate". The only course for the state government now is to act through judiciary. The Chief Minister had recently said on the floor of the State Assembly that "in case we have to proceed through a writ petition in the High Court, we will surely do it. 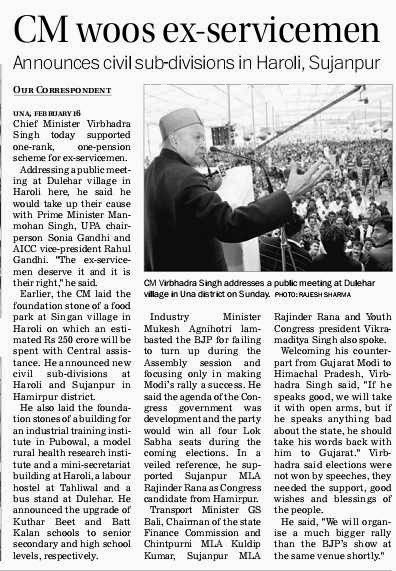 We are committed to ensuring justice to the people in these cases (Pathribal)". 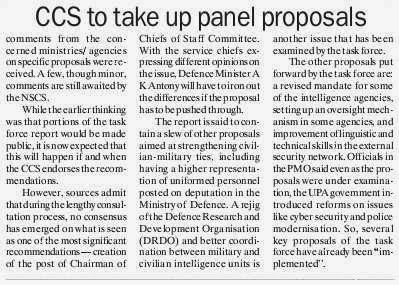 In the Defence Ministry, if A K Antony proposes, nobody can dispose. But that doesn’t seem to be true for the Indian Army, which hasn’t carried out his orders on providing “out-of-turn” security and family accommodation to an officer, seen to be close to former chief General V K Singh. The reason for the Army disposing Antony’s proposal only seems obvious. The officer, from the Intelligence corps, is Colonel Hunny Bakshi, who headed the Technical Services Division (TSD). The TSD, which was formed during General V K Singh’s tenure to provide the Army covert operations capability for across the border operations against anti-India terror groups in Pakistan, has now become controversial and has been disbanded in mid 2013 after a probe into its activities since General Bikram Singh succeeded as the Army chief in May 2012. After Hunny Bakshi and his men were shunted out of the TSD in December 2012 ahead of its disbanding, he was admitted to the Army hospital in Delhi on complaints of mental stress. Soon after, his wife, Aparna Datta Bakshi, wrote to Defence Minister A K Antony over alleged harassment of his senior officers. Meanwhile, he got posted to Bangalore as an officer in the Karnataka sub area. Now, his wife has again written to Antony suggesting that Colonel Bakshi faced serious security threats, as he was an intelligence officer, who worked against Pakistan-based terror groups and that his life was in danger. Aparna Datta Bakshi had also sought that the officer be advised to accommodate his family too at his current place of posting. Acting on her letter, Antony had in November 2013 directed the Army to look if officer can be “provided with out of turn accommodation and security as deemed appropriate” apart from “carry out a threat assessment” to the officer and his family through other intelligence agencies. Accordingly, a signal had been sent to the Southern Command of the Indian Army and to the Karnataka Area headquarters in this regard by the Army headquarters. However, sources close to Col Hunny Bakshi and his family told The Sunday Standard the Army was “yet to follow up” that Military Intelligence (MI9) signal number 12001 issued over three months ago based on Antony’s directions. TSD and its activities came under the scanner of the Army headquarters in June 2012, soon after General V K Singh’s retirement, when it was blamed of exceeding its expenditure limits and misusing its funds. Soon enough, information started trickling into the media that it was the TSD that was responsible for the alleged “bugging” in the Defence Minister's office in South Block, which was dismissed by Antony himself. 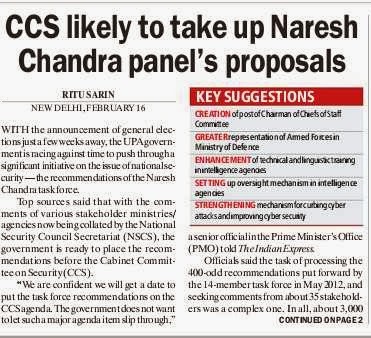 The TSD was also accused of acquiring off-air monitors of mobile phone conversations of the central government top brass when General V K Singh’s age row was at its peak in late 2011 and early 2012. The Army headquarters, under General Bikram Singh, ordered a Board of Officers to looking into the activities of TSD and to recommend actions on its functioning. 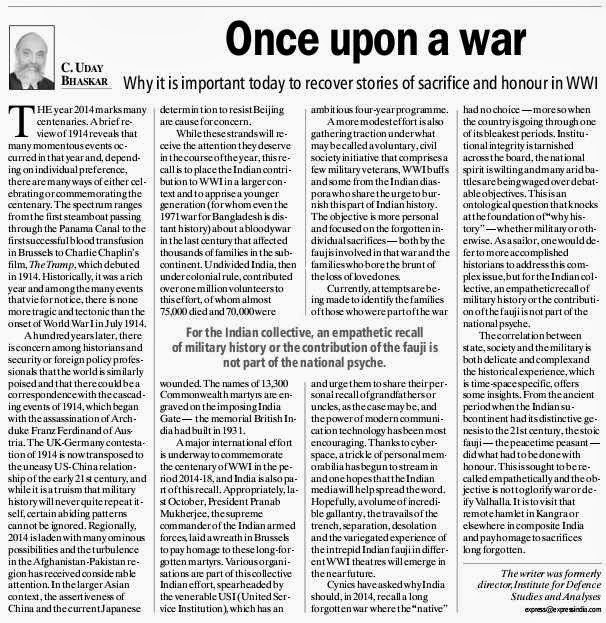 The Board of Officers, headed by Director General of Military Operations Lt Gen Vinod Bhatia, submitted its report to the government in early 2013 and the TSD was disbanded in mid 2013. However, in late 2013, reports again began to circulate that TSD had paid off Kashmir politicians and an NGO that had filed a PIL in the High Court against General Bikram Singh over an alleged fake encounter in which he was injured and received a gallantry medal for.